SALT LAKE CITY — Despite orders from their local council not to do so, a number of Boy Scouts and their leaders marched in uniform at the Salt Lake City homosexual pride parade yesterday. Just days after the Boy Scouts of America (BSA) voted to end the organization’s ban on openly homosexual members, Salt Lake leaders arranged for the scouts to march in the parade, including Peter Brownstein, one of the local scoutmasters. 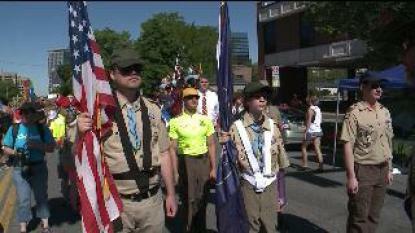 Brownstein told NBC that a few adults and youth marched in uniform at the front of the homosexual pride parade, and that he also marched, but not in scoutmaster apparel. According to reports, an email to the scouts from Salt Lake City executive Rick Barnes outlined that members and leaders could participate in the parade, but not in uniform. “It just feels like the right thing to do,” he said. Scoutmaster Dave McGrath also wore his uniform at the event. The American Family Association likewise expressed concern today, and called upon Christians to pull their children out of the organization.